Terminal V’s latest instalment, The Rising will see minimal techno pioneer Richie Hawtin make his first Edinburgh appearance in 18 years, with further sets from Helena Hauff, Daniel Avery, Objekt and more. They’ve also teamed up with Sneaky Pete’s once again, who will host The Green House stage, while Paradise Palms will bring a team of regulars to their Palms Tent and satirical publication Wunderground host The Wunderground Rescue Stage. Big Miz and Eclair Fifi make their FLY Open Air debuts as FLY Club residents, following the announcement earlier this year, joining the likes of Solomun, Honey Dijon and Peggy Gou on the line-up. Having expanded to two days for the first time last year, the festival is set to get even bigger as Boiler Room make their Scottish festival debut, hosting a stage takeover across both days. 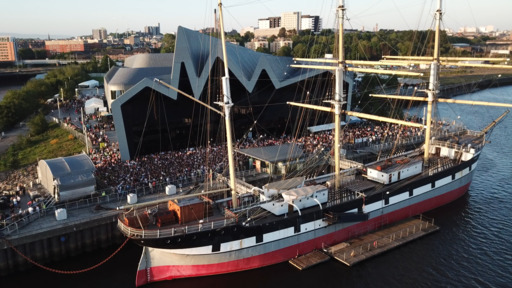 Riverside is a stand-out on the Scottish festivals calendar, and its 2019 line-up is testament as to why, with highlights this year including Todd Terje, Jon Hopkins (live), Shanti Celeste and Midland. On Saturday, Sulta Selects and La Cheetah Club host and curate the two main stages, while Maximum Pressure and Feel My Bicep take the reins on Sunday, with the Dockland Stage a staple across both days. 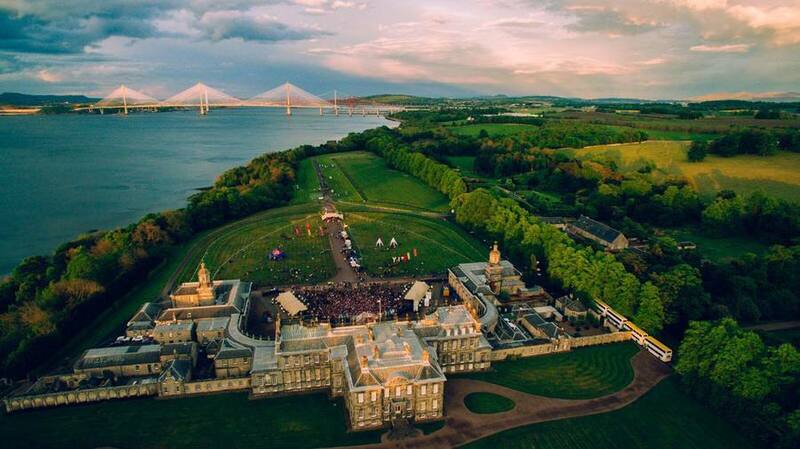 Award-winning party series elrow Town makes its way up to Scotland for the first time this summer. The elrow branch of the festival made its official Scottish debut back in 2017 with its Halloween Haunted House event, which saw sets from the likes of Richy Ahmed, The 2 Bears and Mall Grab, but this is the first time its elrow Town series will make its way north of the border. The team behind Platform 18 take shelter under the West Street bridge once again, with their biggest line-up yet. Detroit techno gets a serious look in this year with Derrick May, Carl Craig and Octave One (live) all set to play alongside Belgium’s finest Amelie Lens, prolific producer and label boss Ben Sims, and Chicago house legend Derrick Carter. Party with the cool kids, and a frankly obscene number of DJs, at East London festival Queens Yard Summer Party, expanding to two days this year and taking place across 20 venues at Hackney Wick. Sunday’s events include a slight Scottish injection, with Craigie Knowes and Sub Club among the day’s partners, and sets coming from Harri & Domenic, Sofay, Telford and more. Nottingham promoters Wigflex launch the debut edition of their city festival, and they’re setting the bar pretty high. During the day, the festival will include a free wellbeing programme open to children and families, while the evening will be saved for the music, with a mixture of live and DJ sets from acts including James Holden & The Animal Spirits, Machine Woman and Eris Drew. Now in its fifth year, AVA festival and conference continues to grow year upon year, having hosted a programme of showcases in cities all over the world, including Mumbai, Amsterdam, London and Manchester. Its Belfast edition returns at the end of May with a huge line-up spread across two days, featuring Avalon Emerson, Ben UFO, The Black Madonna, Palms Trax and more. 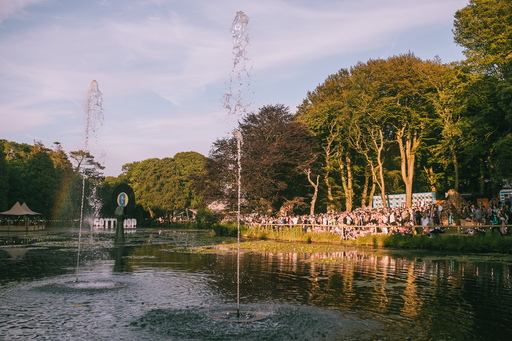 Gottwood celebrates its 10th birthday this year, with ten stages of the best there is to offer in electronic music set around a lake in a Welsh country estate across four days – sounds pretty idyllic doesn’t it? And you’ve not even heard who’s playing yet: Hunee, Josey Rebelle, Move D and Skee Mask are among those set to perform at the festival. Sold? Thought so. Produced by the same team behind Gottwood and curated by Craig Richards, it’s no wonder Houghton shares a pretty similar MO to the Welsh festival. Stunning country setting? Check. Jam-packed line-up which is sure to feature just about all your favourite DJs? Check. Bizarre list of prohibited items, including marker pens and Chinese lanterns? Check. If you’re looking for a bit more from your festival experience than just music, Lost Village should be right up top on your hitlist. As well as a musical line-up featuring Omar S, Willow, Young Marco and a B2B2B from the Studio Barnhus crew, the festival also hosts a range of comedy acts, creative workshops and a wide range of food options – from tribal banquets to street food stalls. 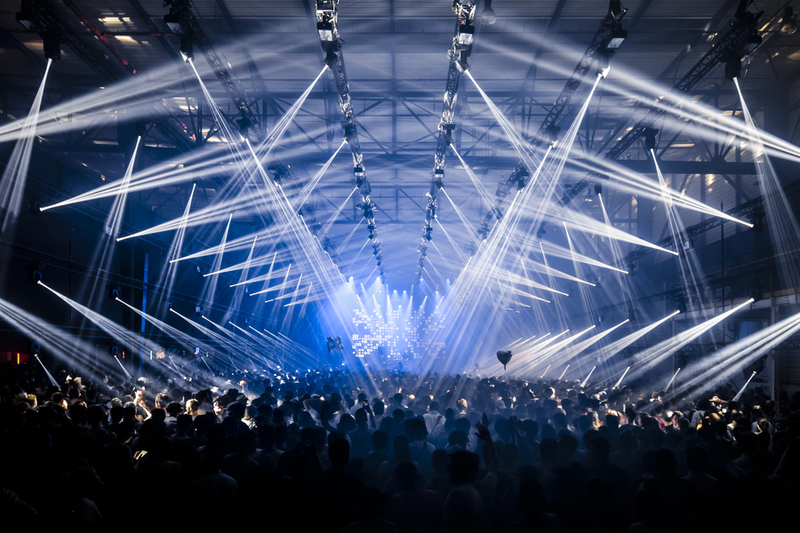 For the 17th edition of Nuits Sonores, the festival have teamed up with Looking For Architecture and Yves Caizergues Lighting Design, who will work as this year’s scenographers, developing the stage design around the theme of panorama. The festival’s daytime programme includes four days hosted by Bonobo, Peggy Gou, Maceo Plex and Lena Willikens, while the night features performances from James Blake, The Black Madonna, Jayda G and more. A festival in Morocco may initially seem like a hot and sweaty nightmare, but fortunately and conveniently Oasis festival organisers have actually thought this through. 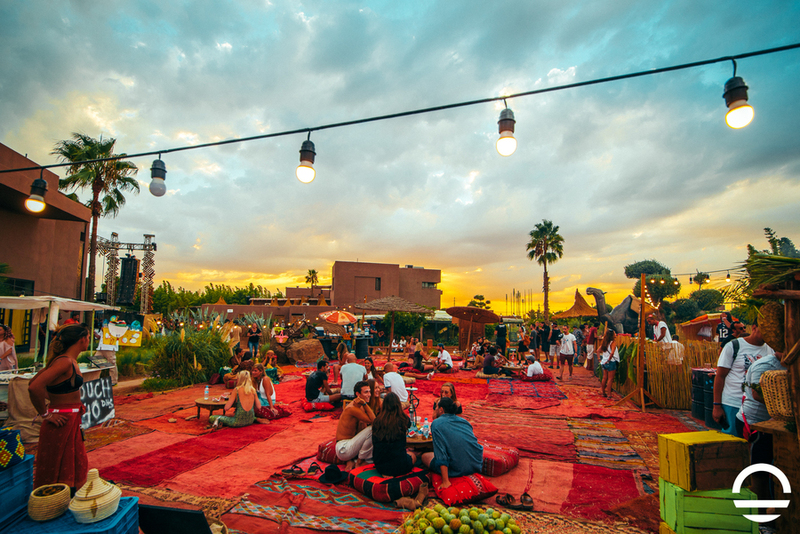 With the festival site not opening until late afternoon, you’ll miss that midday North African desert heat and be able to enjoy the sunset and party into the night while enjoying sets from the likes of Ciel, Four Tet and Or:la. If you have even the remotest interest in electronic music, Amsterdam Dance Event is not to be missed. The festival programme is split into days and nights; by day, you can brush up on your knowledge of the business and tech side of things, and by night you can take in a series of showcases, with Nick Murphy aka Chet Faker announced as the first headliner for Paradiso’s ADE line-up. 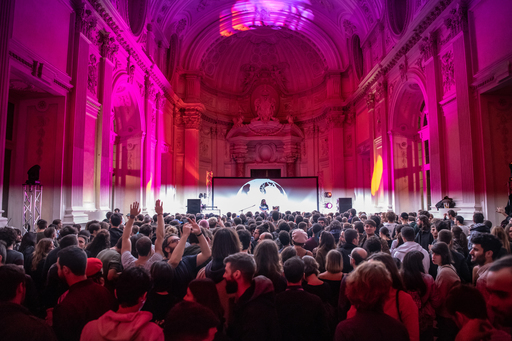 As well as hosting one-off events around Italy throughout the year, Club to Club’s main event takes place in Turin, with the main bulk of events located in the city’s Lingotto arena. If the festival’s 2018 line-up – which included a headline set by Aphex Twin, as well as DJ sets from Courtesy, Leon Vynehall and Skee Mask – is anything to go by, then you’re sure to be in for a treat this year.